The Mobile app development is booming time to time like never before. With so many mobile devices available in the market today, app development has emerged like never before. Some years ago, like 4-5 years ago, people had a limited choice of mobile like Windows, Blackberry, and Apple. It has now become very important for every business and company, to create mobile apps that show their products and the services. Trying to make it popular or top-selling app involves much thinking, effort, cost, and the right strategy of marketing. If you are a movie lover, games lover, photography lover, or a music freak, today’s smart phones have everything to offer. Mobileapp development is all about influencing people to machine interaction. You can easily download and install the applications for a certain task. There are many applications available like of social networking, health & fitness, travel, hotel bookings, and a lot more. Connect your smart phone to any wearable devices and collect all the information on health and fitness, store them on a cloud server. Also, you can use your phone to keep your doctor updated on your health issue. The smart phone devices help you share all the media files and also engage in information exchange. You can easily organize your tasks with your smart phone. Store your notes and reminders to carry out a task. Also, you can send and receive e-mails with the help of browser or the e-mail application. If you want to go to the movie theater and purchase a movie ticket, you spend your time in a long queue and return back home. By downloading the application of movie tickets and booking through it, you save your time and energy as well. The customers who buy things in bulk often provide a discount. It helps them to keep the scrap to a minimum. Products when purchased with the help of an application, the order counts are often bigger in number. Also, the order cut down all the inflation of the cost. This ends up saving cash for the end consumer. By using your smart phone, you can easily connect to the internet and access everything you want to see worldwide. You can gain knowledge about informative contents on many website posts, and other channels. With over 2 million applications in various app stores, getting your application discovered is one of the major issues that the app developers are facing. If you are developing any mobile app, it is equally important to understand the technique for marketing. One of the most important technique is app store optimization (ASO). 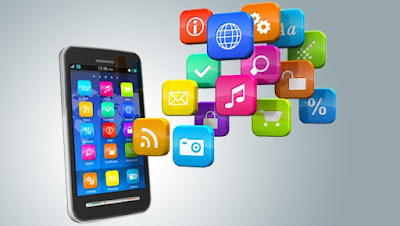 ASO optimization is the process of mobile app development to rank higher in app store’s search results. The higher your application ranks in the app store’s search results, more visible it will be to the potential customers. It has been said that if you are not using ASO to increase app’s search ranking, you are missing out on the largest discovery channel available to your application. As a lightning growing of the Number, Sophistication of mobiles around the world, there is challenging the need for robust performance, essential and User-friendly mobile apps to be developed. There are certain elements need to be considered while choosing parameters local needs, Web and hybrid options for Mobile applications. Everything has some advantages, yet portable web applications will frequently speak to your most effective improvement (and thusly time-to-market) choice. Should you go down that way, I trust this web application improvement instructional exercise gets you all the more specifically and effectively to your goal. Author Bio: Surya Kumar Works for LatestOne.com as Content Writer. It is the e-tailer Company known for bringing the Mobile Covers|Smart Watches|Bluetooth Speakers|Power banks models from all major manufacturers at best discounts. The company has a fully operational office and warehouse maintained to make timely deliveries across the nation.